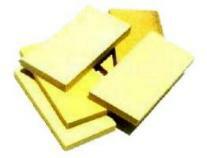 HIGH DENSITY HARD FELT BLOCKS for wide variety of usages. This is same High Density Hard (0.70 gm/c3) used in felt buffing wheels and polishing bobs. Density is calculated as grams per sq. cm. Attach to your sander and buff away. OR use for Knife Sharpening. OR punch out your own Timpani cores. OR let your imagination run wild and come up with your own unique application. Not available in any retail store. Do not be concerned about white dust from the felt when using for 1st time. Temporarily out of stock until end of July 2019. Thank you for your patience and understanding.